Hyun-Woo (Kang Ha-Neul) is the only witness to a taxi driver murder case. After being falsely accused of murdering a taxi driver by an oppressive criminal investigation, he has spent 10 years in prison. 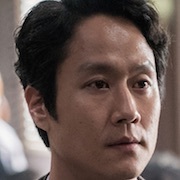 Joon-Young (Jung Woo) is a lawyer in financial debt. He becomes aware of Hyun-Woo’s case. His intuition tells him that his case might be a good opportunity to advance his career. 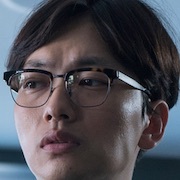 After Joon-Young meets Hyun-Woo, he becomes driven by a sense of justice and Hyun-Woo gains hope. Filming began July 17, 2016 and finished October 3, 2016. Movie is based on a real life incident. A taxi cab driver was killed on August 10, 2000. A 15-years-old boy was arrested and confessed to the crime after going through a violent interrogation. yolo Jun 04 2018 9:56 pm Kang ha neul acting is awesomee. Also the lawyer did so well. The ending just take my tears soooo much. Kang ha neul played the role very well which can make my hearts hurts knowing its fact:"""
Chi Dec 07 2017 10:51 pm Of the 4 crime-related K-movies I've watched this year, this is the only one where justice was really served in the end. The acting was great as expected of the cast but it was also captivating; I couldn't keep my eyes off the screen. The story is as real as it could get where money and seeking for justice is involved (betrayal, cover-ups, debts, etc). I wish there are more movies like this one. It really is a must-watch. boo Sep 17 2017 4:03 pm I wished that this never happened ... so sad that i can't say it was a good movie cause it ruined a child's life . The saddest movie ever. a Jun 24 2017 11:30 pm immediately put this into my favorite movies of all time list after watching it! the actors were amazing. love the chemistry between jung woo and haneul on set and in real life. I felt so frustrated watching this. injustice in a system that's supposed to bring justice?... just wow. power and money can get you away with anything. that's unfortunately the reality and it's tragic. I thought Joon Young was just a made up character because I didn't believe there was a lawyer that was that dedicated and good-hearted as him. I was surprised to see that this movie was based on a true story in the end. So sad for the real Hyun Woo but so glad that Joon Young is real. 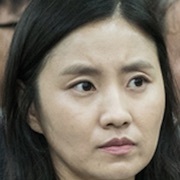 I hope there will be more lawyers that aren't blinded by money and power like Chang Hwan and genuinely want to help bring justice to the people like Joon Young. Aren May 05 2017 7:09 am Great movie and great acting. Now the main story behind this movie is about this boy wrongly accused and tortured like anything by the people who are appointed to serve the people. Very strong social message from this movie and I put this movie in my top 10 list of movies i have watched so far. Worth it. Cmb Apr 22 2017 7:07 am Accdg to the notes, he was 15 yrs old. Just wow, for them, ruining a child's life is so easy. Unbelievable! Seol Apr 22 2017 7:01 am Overall, amazing movie, cast...all of it. Recommended. Also, a movie that forces me to get angry. Mcai Apr 07 2017 9:53 am It's an awesome movie... actors are its best performance ... waaaaahooooooo! Maha Mar 30 2017 12:24 am It looks like a good movie, both lead actors are excellent.. will see it today and get back here for a review. yaya Oct 03 2016 2:23 am looking forward to this movie <3 Haneul oppa fighting!! monstar ❤ Sep 15 2016 10:29 pm Ohh a mini iceland reunion for ha neul and jung woo. 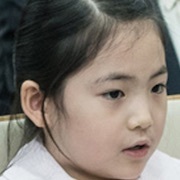 And lee dong hwi as well? Im in. hmm May 31 2016 4:47 am will it be like im si wan's story in The Attorney?? Nana May 30 2016 12:29 pm Yaaaasasscant hardly wait for Jung Woo's comeback!